The Office of the Secretary for Higher Education reviewed and rejected a bid by a national college organization to become a university. The bid is controversial since the Secretary’s office said they never even looked into the educational credentials of the college it was reviewing. Mr. Sharp is not ready to throw in the towel. “We think we’ll apply at a Western red state. They understand the significance of the Electoral College. They know it is the key to small or sparsely populated states maintaining a say in the makeup and direction of the federal government,” Sharp told Street Politics. But seriously folks, with each presidential election it becomes increasingly popular, especially among the losing party, to decry our electoral system of government. This shows a lack of understanding of the protections built into our federal election laws or a willful desire to centralize power in heavily populated areas, in an effort to create a truly Orwellian society. It is unnerving how popular, and effective, being a public crybaby has become. In the same election the voters elected one and tossed another aside. Matt Jordan is a travel writer, host of streetpolitics.us and author of 16 20 24: A Path to Consistent Conservative Victory, on Kindle as: Street Politics: It Ain’t Your Daddy’s GOP Anymore! There is little that Nick Kristof and I might agree on. In his latest piece, A 12-Step Program for Responding to President-Elect Trump, New York Times, Nov 17, 2016, he only makes one statement that I have always talked about and lately have been harping about. His Step 8 is encourages his readers to get out of the echo chamber. That’s good advice for the whole country. I echoed that in a wider article here. Having friends that don’t think like you does truly make you smarter. My agreement with Kristof pretty much ends there. He proceeds in the rest of the piece to demonstrate that he and his cohort have learned nothing from the past election. The other 12 steps are a creepy recitation of I-will’s and I-should’s that read like a laundry list of why the left will give up even more seats in the next midterm election. For example, when trying to appeal to the center or center-left worker in the rust belt, that’s the place that handed the Democrats the biggest throbbing this year, you won’t win a single vote saying you joined the Council on American-Islamic Relations or the Southern Poverty Law Center. One is an Islamic group that simply cannot bring itself to condemn acts of terrorism, including beheadings of innocent people. The other is a socialist waste of time. The only people associated with the SPLC to pull themselves out of poverty are the ones who left, learned life isn’t fair and socialism doesn’t work, and then made something of themselves. Americans are fed up with being beaten over the head with racist labels and economic guilt. Kristof goes on to list one insult after another in his condescending analysis of the average Trump voter. I have been very hard on those voters and I have been brutal with Trump. The difference is I don’t throw around terms like racism and misogyny and speak in condescending terms, and then say but we must be kind to “them” and avoid conflict. This article is intended to create conflict by over-compensating for a feeling of inferiority on Kristof’s part. Read Manipulism, by Mikkel Claire Nissen. Kristof’s little lefty cry for compassion was really just another failed manifesto listing the same emotionalist “grievances” that cost the Democratic Party positions from town council seats to the White House. Trump was sooooooo easy to beat. But the rank and file Dems watched, lips obediently sealed, while the party’s most equal of equals carted out the most flawed candidate in our history. The opening paragraph says it all. A week after the election and we are still talking about people traumatized by the results. In his article, Kristof hopes to help “around the margins”. I have news for you, anyone truly traumatized by an election is in desperate need of help with their already damaged psyche – and not around the margins! Step one in Kristof’s self-help program should start with first admitting the “traumatized” are just self-absorbed, little drama queens seeking constant validation, and go from there. Matt Jordan if host of Street Politics and author of 16 20 24: A Path to Consistent Conservative Victory. Thick as Thieves, Those Damned Irish! 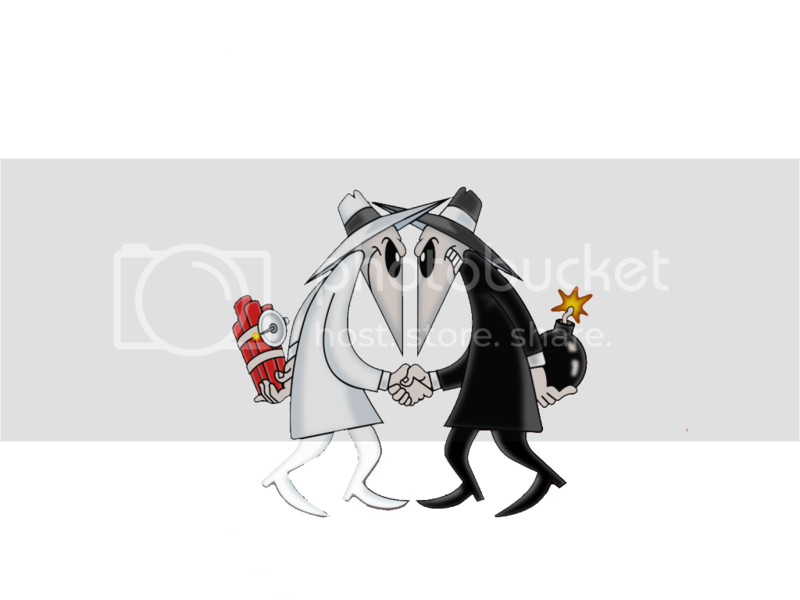 Is this a case of Spy vs Spy? Could we have Ryan vs Ryan in the House of Representatives? We already have Paul Ryan as Speaker. Now Tim Ryan has tossed his crumpled, tweed paddy cap into the ring to be House Minority Leader. I suspect a conniving plot. We have two Irishman, both named Ryan. They’re both Reps from the rust belt. Hmmm. How do we know these guys aren’t related? How do we know this isn’t some kind of Celtic plot to take over the country? Will they turn the House of Representatives into a national publican house? Will they spend their afternoons swilling cheap, raspy whiskey, singing depressing, near-tuneless ditties about the famine and telling everyone what saints their mothers were? I suspect there to be more than one donnybrook in the cloak room. I wonder if they’re both Catholic. Saints preserve us! The next thing you know, we’ll have a plague of babies inside the beltway. Don’t be taking me words as dismissal. Anything is better than that Pelosi creature. She’s lately looking like Skelator with a cheap wig. But whose t’ say these Ryans aren’t acting the maggot, ready to anoint themselves archbishops when no one’s looking? It can’t hurt for us all to keep a sharp eye. That’s all I’m saying.